Milton Montenegro a self-taught photographer, was born in 1954, in Rio de Janeiro, Brazil, where he lives and work. He became interested in photography as a child, and later discovered the possibilities of photography as a language unto itself, during a stay in London. He began his professional career with an apprenticeship in the commercial photography agency. In 1980 he founded a state of the art professional studio with a partner, in 1980, producing advertising campaigns for Coca Cola, Souza Cruz, Shell, Esso and others. He was a pioneer in the in the introduction of digital imaging in commercial photography in Brazil. Montenegro's substantial body of art photography is exhibited internationally in venues such as The Photographer's Gallery' Gallery, London, Musee Francaise de la Photographie, Paris, Palacio de Bellas Artes, Mexico City, Museu de Arte Moderno, Rio de Janeiro, Museu de Arte de Sao Paulo, Sao Paulo, and the Turchin Center for the Visual Arts, North Carolina. His photographs are in the permanent collections of the Museum de Arte de Sao Paulo, The Joaquim Paiva Collection, the Fogg Museum of Art, Harvard University, Danforth Museum of Art, Worcester Art Museum, Musee Francaise de la Photographie, Fondazione Italiana per la Fotografia, and others. 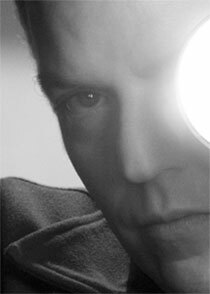 His bibliography includes the monograph "Camera Obscura", the cover of The Dutch version of A.L. Kennedy's "All you Need", "La Fotografia", "Spain" and UCLA's General Education catalogue for the College of Letters and Sciences, 2002-2003. He is represented internationally by Tepper Takayama Fine Arts.